This comfy shrug is loom knit as a flat panel on the yellow Knifty Knitter round loom using 38 pegs. The lace pattern is a little tricky, so I suggest that this pattern would work best for an intermediate loomer. The stitches used include a knit (flat knit or u-knit) stitch and a purl stitch. The pattern includes SSK and explains it completely. 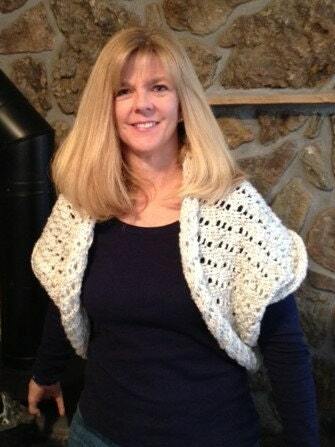 I used a strand of the Super Saver and a strand of the Fiesta yarn held as one to knit this. 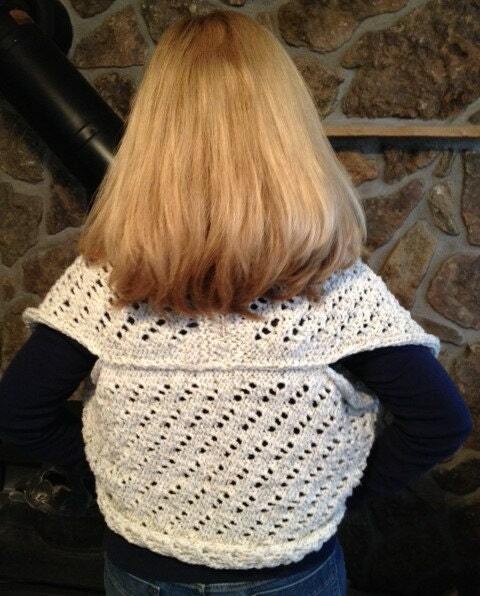 The pattern is ready now for download as a PDF file.